Why Work With Terra Firma Brands? The multidisciplinary approach to product promotion is critical to the success of the wine, craft beer and spirits products we represent in Ontario and through the LCBO. Our selective, carefully chosen portfolio provides us with the necessary resources to grow your brands. We'll help you navigate the competitive Ontario market. The market for premium products in Ontario is very competitive. Suppliers from around the world jockey for shelf space and presence in the various programs run by the LCBO. Additionally, customers are becoming increasingly sophisticated and enthusiastic to try new products. We build a marketing & promotion strategy for your products through in-store programs, public relations and promotional events. Working together with the LCBO, TFB invests in the various in-store programs made available in retail stores to market and promote your brand. 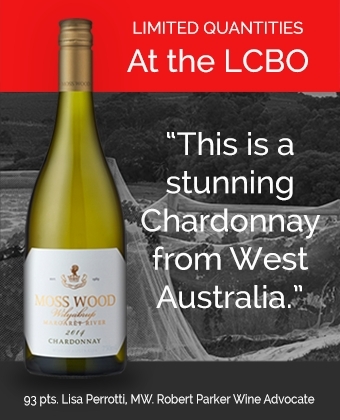 Thorough knowledge of available promotional offers to promote products in the LCBO is essential for brand success. TFB’s insight to these vital sales avenues is complimented by our efficiency to follow through in applying for the appropriate program (e.g., Bonus Reward Miles through AIR MILES Loyalty program, Limited Time Offers (LTO), advertisements in LCBO’s Food & Drink magazine, catalogue cover pages, etc). Our team follows through with in-store visits to develop retail relations, maximize distribution & ensure optimal shelf placement with proper promotional information. Also important to our in-store relations is to ensure product consultants and staff are educated on the products we represent in market. By providing tasting and educational sessions, LCBO staff have knowledge and confidence to hand sell our brands, maximizing sales opportunities. A command of Ontario’s liquor laws and LCBO’s packaging standards –including the primary information that must appear on a bottle label (e.g., % alc./vol., country of origin, type, metric size), enabling us to provide accurate direction and assistance during the tender process. TFB partners with the LCBO in numerous tasting events through out the year to diversify brand exposure and maximize product awareness. In addition, TFB is able to host our own private events such as ‘Winemakers Dinners’ to engage a demographic specific to your brand.